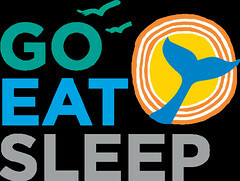 Long weekends in winter are perfect for sneaking out of town for a quick getaway. 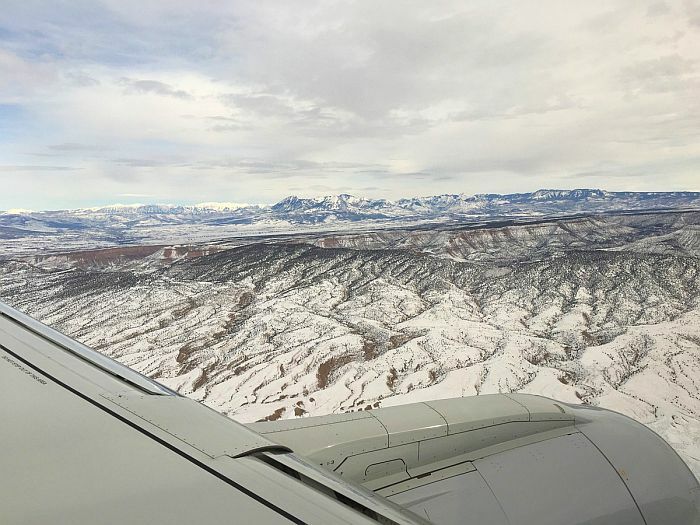 If you’re craving snow now’s the time to visit Telluride. Sixty-one inches in six days. That’s the kind of snowfall Telluride saw during the Christmas and New Year holidays. What got its start as a booming mining town has grown into a destination that knows how to live and play in the snow. Telluride is known for its skiing and with 2-thousand plus skiable acres and 127 trails, it’s easy to understand why. It’s a nice mountain to learn to ski and to learn about skis. Pete Wagner is a computer scientist turned custom ski maker that offers free afternoon tours of his workshop, Wagner Custom. 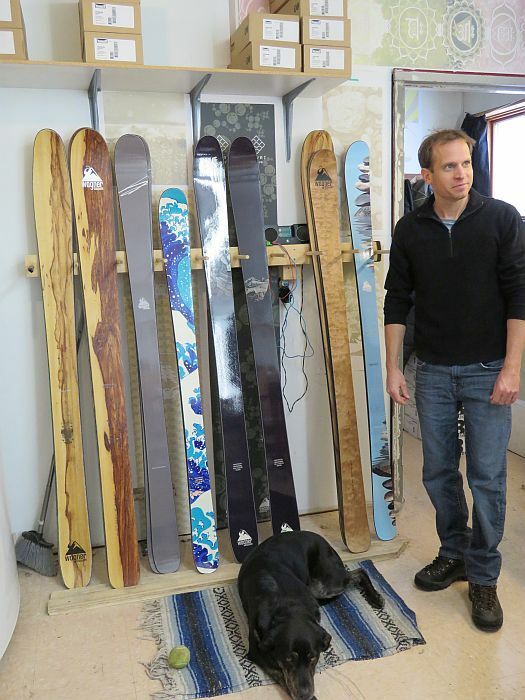 He explains how science – more than 300,000 lines of code – helps him make great skis. You’ll want a pair, so consider yourself warned. They’re an investment starting at $1750. Skiing may be what it’s best known for.. but there’s plenty more to talk about in Telluride. You don’t need a car – getting around is part of the fun. The town of Telluride and Mountain Village are connected by the only free public gondola system in the United States. 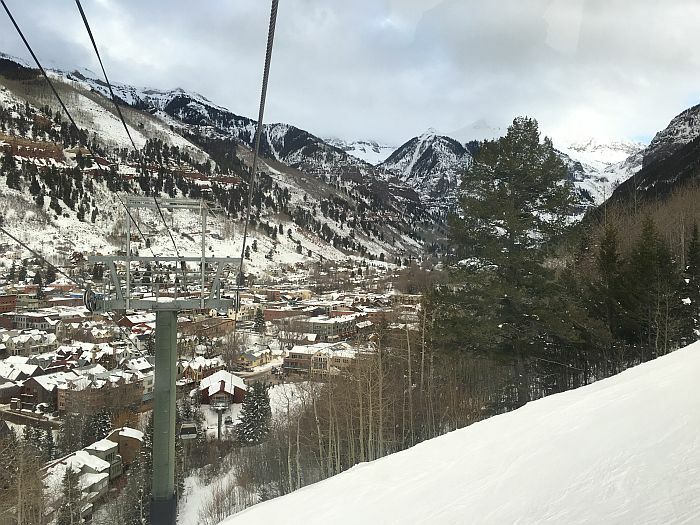 The 13-minute ride delivers skiers to the rental gear and ski school area of the Telluride Ski Resort, but since every seat is a window seat, the gondola couldn’t help but become one of the area’s more popular attractions. You’ll get a pretty good view when you’re driving a snowmobile too. Guided tours with Telluride Outfitters takes adventurers to the historic town of Alta, where gold and silver was processed after being extracted from the mines. Many of the original buildings, including cabins and a boarding house are still standing so you get a good dose of history mixed in with the scenic snow play. 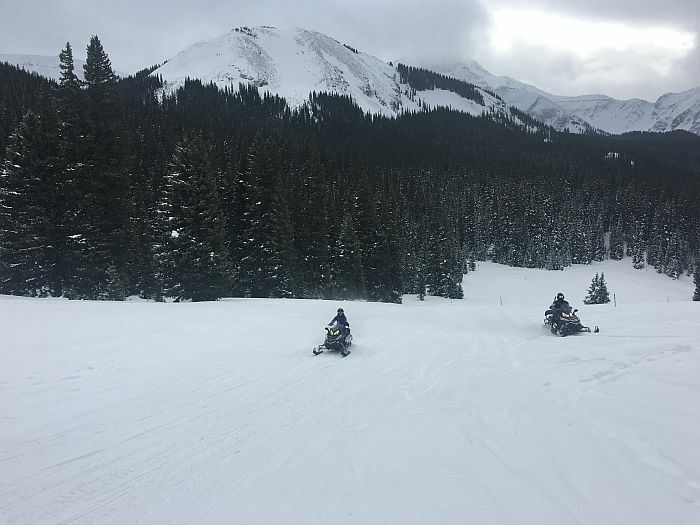 And these snowmobiles are pretty posh, complete with seat and handle bar warmers, it takes the chill out of your mountain adventure. 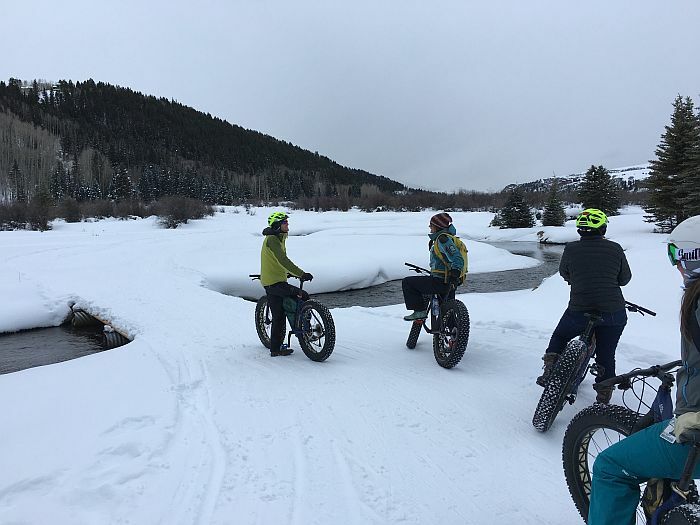 The seat isn’t as warm and cushy, but chances are you’ll break a sweat biking through the snow on a fat tire bike tour with Telluride Bootdoctors. If you’re anything like me, chances are you’ll also wipe out at least once, but falling into snow is actually a lot of fun. Three miles across the mostly flat and very snowy valley floor and you’re rewarded for the workout. 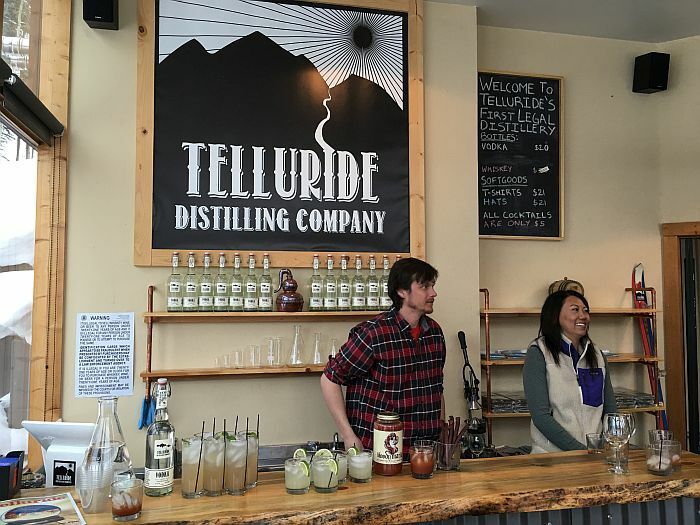 At Telluride Distilling Company, riders can taste hand-crafted whiskey and vodka distilled on-site. The still was custom built by co-owner Abbott Smith. It’s high tech and web-based and apparently Smith is known to play with things on his cell phone during long lift rides on the mountain. 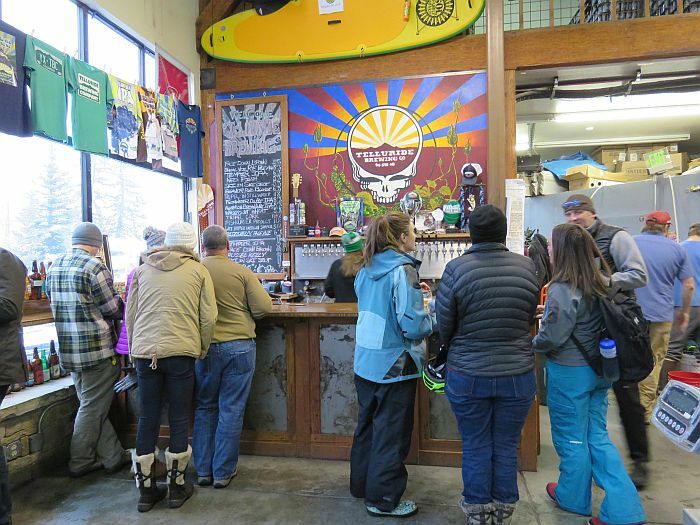 Award-winning good things are waiting for beer drinkers at neighboring Telluride Brewing Company. Bikers can create their own custom flights from the more than a dozen craft choices on tap, often while watching brewers work their magic among the tanks. You can bike back to town, or opt for a shuttle.